General Finishes has become one of the largest manufacturers of waterborne wood finishes and stains. Homestead has been a distributor for General and Enduro Industrial for over 7 years. General Finishes outstanding commitment to quality and service is unsurpassed in the industry. High Performance Polyurethane – High Performance Top Coat is the hardest, most durable consumer polyurethane top coat on the market today. It brushes the best of any waterborne finish we’ve used and sprays incredibly well to a smooth finish. In addition it contains two types of UV Stabilizers, one to protect the finish from breaking down in sunlight and the other to protect underlying stains from fading or light colored woods from darkening. And with its pure polyurethane durability, it can even be used on floors. This is a great all-around product and is used over the acrylic enamels below to increase the durability. Water-clear and non-yellowing. 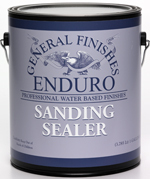 Enduro-Var Water Based Urethane – This brand new finish from General is quickly becoming our favorite. This product looks more like an oil finish than any water based one we’ve seen. Cross-links with air just like solvent based polyurethane finishes to form a tough, water resistant finish. Good for floors, cabinets table tops, even trim. Easily brushes or sprays. 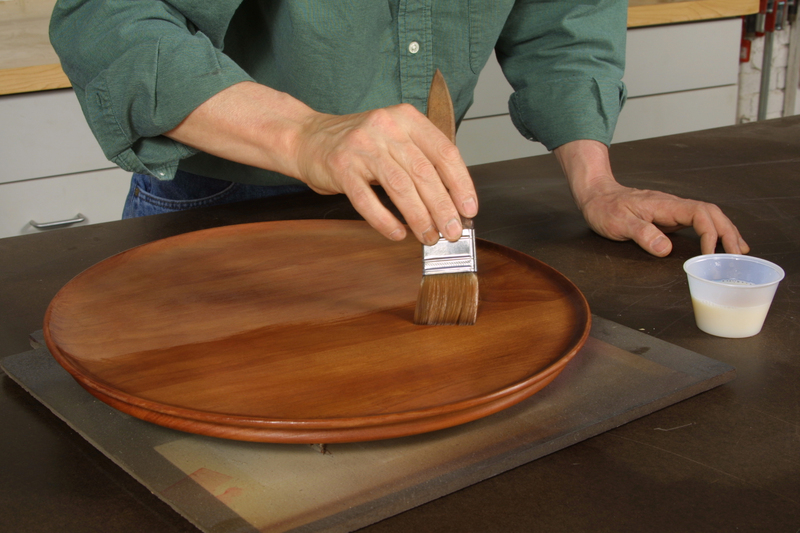 Recommended for darker woods like mahogany, walnut and cherry. General Finishes oil based products are widely used by discriminating craftsman throughout the country. Seal-A-Cell sealer/finish is used as a low luster, “in-the-wood” finish by itself or as the foundation for the more protective Arm-R-Seal oil/poly topcoats. Gel topcoat is a gel polyurethane based finish that’s incredibly easy to apply. Seal-A-Cell Clear for decades has served craftsman as the best way to get the that “natural” look on beautiful woods that aren’t to be stained. The oils penetrate deep within the wood to highlight the warm natural look and the urethane provides durability. Follow with multiple coats of Arm-R-Seal topcoat if more durability is required.Seal-A-Cell can be wiped on or applied with a foam brush. QUARTS only. Gel Topcoat is one of the easiest oil finishes to apply. Gel Topcoat has a high content of urethane for more protection. Gel Topcoat is available in satin. For semi-gloss or gloss sheens, use Arm-R-Seal Topcoat (see above).